Talents alone won't get it done. 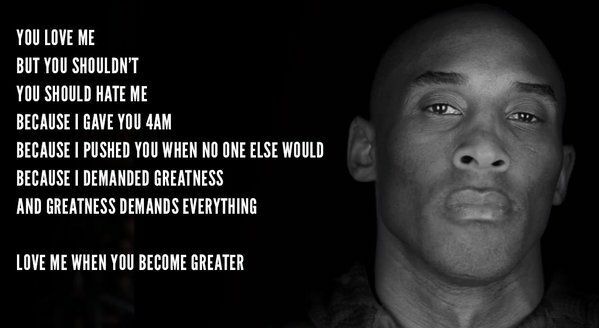 Kobe woke up earlier and trained harder even as the best players in NBA. This is the kind of intensity that we admire, and we work insanely hard to achieve greatness.